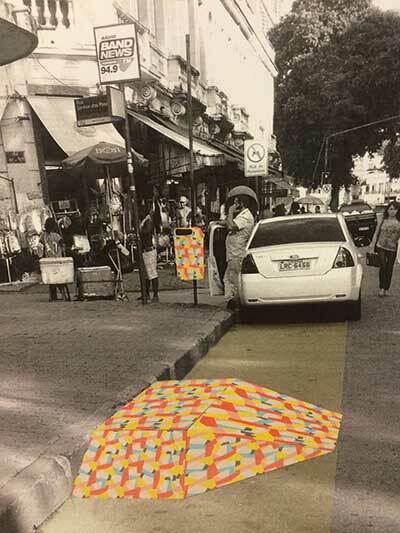 The streets of Rio de Janeiro could soon be cleaner and safer thanks to an innovative concept devised by students from Middlesex University’s School of Art and Design. Five design students from Middlesex University were selected to take part in a two-week social design project in Rio de Janeiro, working with seven students from the Pontifical Catholic University (PUC-Rio) and school of art and technology, Spectaculu, to create a product or solution to alleviate two of the city's pressing urban problems. 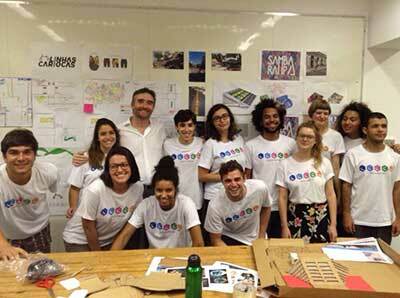 Students were chosen from across a range of design disciplines – fashion, textile, interior, graphic, communication and industrial design – to bring their skills together and offer a fresh, innovative perspective on improving Rio's infrastructure. The project, Creative Campus, was founded by UK-born, Rio de Janeiro-based Creative Director Phil Nutley and co-facilitated by Middlesex's Head of Fashion and Interiors, Graeme Brooker, with support from UK Trade & Investment (UKTI). The brief was drawn from a survey of 17,500 Rio de Janeiro citizens which had resulted in hundreds of suggested areas of improvement for the city – from sewage control to transport, energy and disabled access. Following a five-day brainstorming session in Rio's national library and a public exhibition of their ideas, two concepts were chosen for further focus – a water filtration system for the city's drains, and a way of improving Rio's notoriously dangerous bike lanes. Students returned to the library for three days of intense prototyping, resulting in two solutions. The first, Samba Rampa, is a drain filter that can be fitted onto a kerb and not only stop rubbish from entering the waterways, but also act as a ramp for wheelchair users – a timely provision for a city with limited disabled access, currently preparing itself for the 2016 Olympic and Paralympic Games. "The Samba Rampa could be made quite easily, injection-moulded and produced for about $200 per unit," Brooker explains. "Students worked on designs which would allow local artists or agencies to brand them with their own identities. They also devised a design for a bin which would be placed nearby, to discourage people from throwing their rubbish into the kerb." 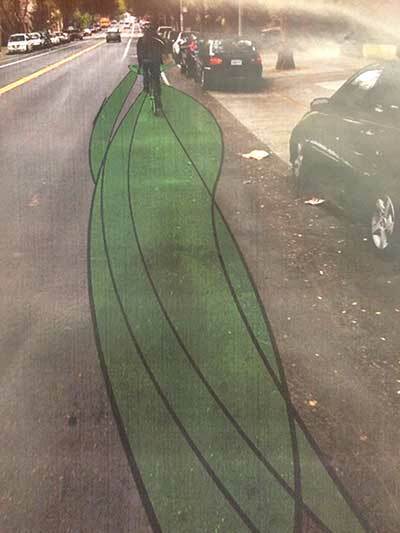 The second solution is a coloured bike lane system that would alert cyclists of dangerous junctions and routes. An aggressive red motif or faceted yellow pattern would indicate an unsafe area where people had previously sustained injuries, advising cyclists to take care; green would indicate a smooth, problem-free route. A mobile app would further allow cyclists to plan their route according to this warning system. An exhibition of the two prototypes was met with enthusiasm and support from the likes of the British ambassador to Brazil and the British Consulate General. Nutley and Brooker have now been invited to return to Brazil later in the year and present the prototypes to the Mayor of Rio de Janeiro; if their bid is successful, 1000 Samba Rampas would be fitted across the city in time for the 2016 Paralympic Games, and a 10km stretch of bike lanes would be tested along the Ipanema and Copacabana beachfronts. The Creative Campus project is a powerful example of the importance of collaboration and knowledge-sharing, between countries and design disciplines. "It was a revelation to see the students' processes and ideas and how they work," Brooker says. "And we've started up an international relationship which we'll build on and go back to." Images, top to bottom: Middlesex University students Adam McCarthy, Georgia Sesi, Olivia Overton, Tori Rodway and Violet Broadhead with Alex Ellis, British Ambassador to Brazil, and students from PUC and Spectaculu; Samba Rampa drain and bin design; Bicycle lane warning system.